ST. GEORGE — The 2018 Docutah International Documentary Film Festival is almost here, and leading up to the big event in September, Docutah organizers are pleased to announce the screening of two films in August. Presented in collaboration with the Sierra Club and the Center for the Arts in Kayenta, “Reinventing Power: America’s Renewable Energy Boom” will be playing at the Center for the Arts on Aug. 17. Tickets are $15. In addition, Docutah will offer a free community screening of “Won’t You Be My Neighbor?” at the Eccles Fine Arts Center on the campus of Dixie State University on Aug. 24. According to a press release from Docutah, “Reinventing Power: America’s Renewable Energy Boom” provides constructive information on an issue which confronts our world now. The film takes viewers across the country to hear directly from the people making a clean energy future achievable. These individuals are working to rebuild what’s broken, rethink what’s possible and revitalize communities. These stories are proof that America does not need to choose between keeping our lights on and protecting our communities. “Reinventing Power” underscores the notion that we don’t have to sacrifice jobs for a clean environment, the press release states. Supporting a clean energy future means building a better, more prosperous future for everyone. Over the film’s 50 minutes, viewers will meet people in eight states whose lives were changed by the renewable energy industry, while exploring various aspects of the clean energy industry from innovation to installation. “Reinventing Power: America’s Renewable Energy Boom” will be playing Aug. 17 at 7 p.m. at the Center for the Arts at Kayenta, located at 881 Coyote Gulch Court in Ivins. Tickets are $15 and can be purchased online. 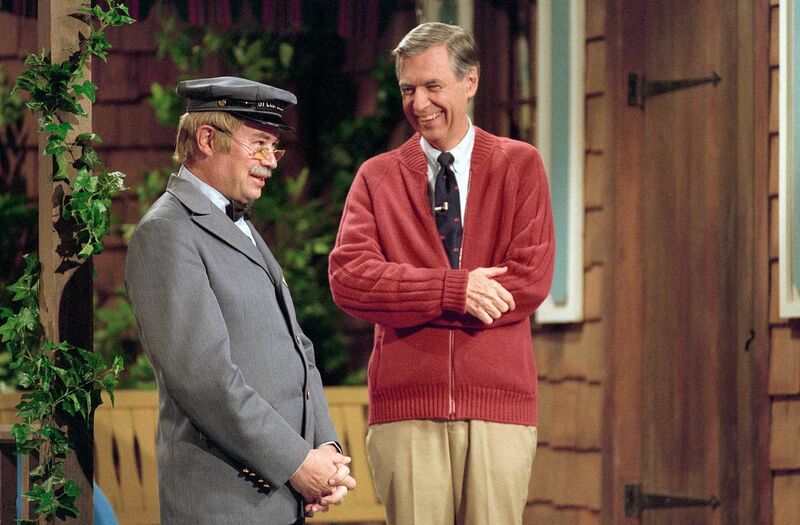 Mr. Rogers changed children’s TV forever. Using puppets and play to explore complex social issues – including race, disability, equality and tragedy – Fred Rogers helped form the American concept of childhood. He spoke directly to children and they responded enthusiastically. Yet today, his impact is unclear. Have we lived up to Rogers’ ideal of good neighbors? In “Won’t You Be My Neighbor?” Neville looks back on the legacy of Rogers, focusing on his radically kind ideas. While the nation changed around him, Rogers stood firm in his beliefs about the importance of protecting childhood. Neville pays tribute to this legacy with the latest in his series of highly engaging, moving documentary portraits of essential American artists. This special free screening of “Won’t You Be My Neighbor?” will be playing Aug. 24 at the Eccles Fine Arts Center on the campus of Dixie State University and will be followed by a Q&A with producer Nicholas Ma. Open seating at the Eccles is first-come, first-served. Doors open at 6 p.m.
Now in its 21st year, the Sundance Summer Film Series brings free outdoor screenings to cities around Utah. This year’s series features 11 screenings from June 16 to Aug. 26 in Salt Lake City, Park City, Ogden, Kamas and St. George. More information about the Summer Film Series can be found at the Sundance website. Posted in Events, LifeTagged cedar city, Dixie State University, Documentary Film Festival, Docutah, DOCUTAH International Documentary Film Festival, Fred Rogers, Mr. Rogers documentary, Reinventing Power, Won't You Be My Neighbor?